Molly’s Chip Truck is located in a corner lot at the corner of Hwy. 32 (Stone St.) and Charles Street in Gananoque, ON. We didn’t know this at the time, but Molly’s moves every night…so if you make the trip and see there’s no truck there, that’s why. 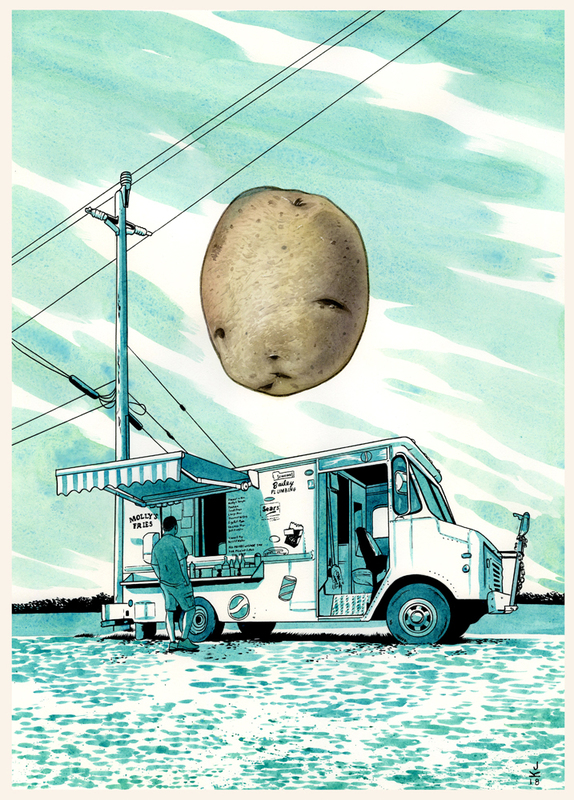 Normally we don’t draw food trucks, but Joel decided to celebrate the almighty Potato with this one.